Estadio El Molinón is the home ground of current Segunda División team Real Sporting de Gijón. 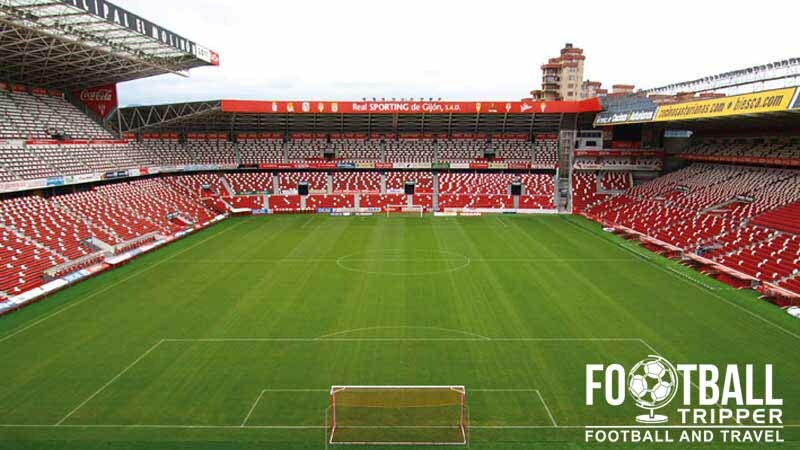 Located on the banks of the Piles River in the largest city in Asturias, Gijón, the ground first opened back in 1908. The capacity today stands at 30,000, with the most recent large scale renovations occurring between 1997-1998. The site on which Estadio El Molinón is located has been in use by football teams since 1908 which technically makes it the oldest professional football ground in Spain. 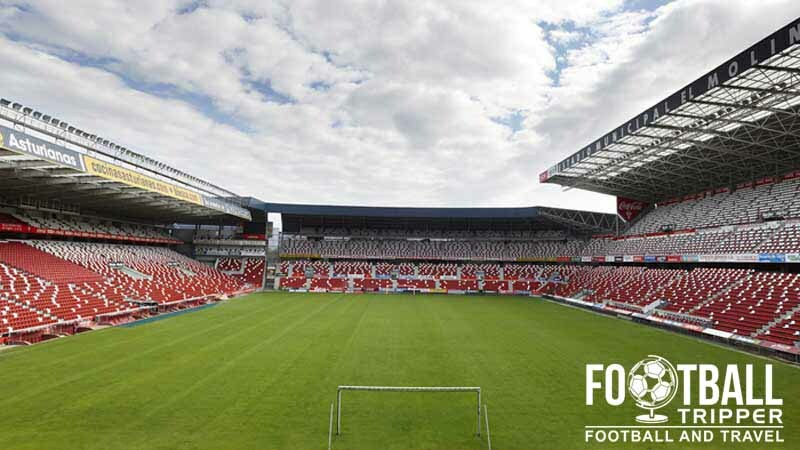 Sporting de Gijón first started to use the ground in 1915, and played their inaugural competitive match there two years later on 22nd April 1917 against Arenas Club de Getxo in the Copa del Rey. Today’s version of El Molinón differs greatly from the original having undergone numerous developments since first opening. Estadio El Molinón kept a pace with technology in the second half of the 20th century which resulted in the stadium being one of the finest in Spain. 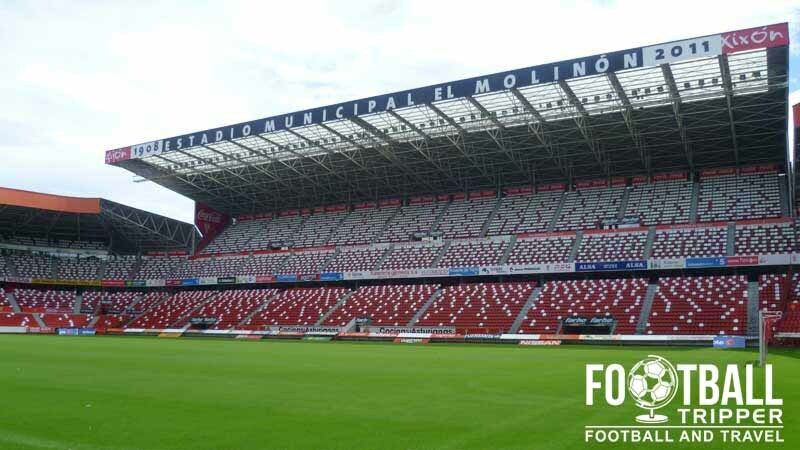 Floodlights were installed in 1968 for a game against Valencia CF, and two years later Molinón became the first fully-covered stadium in the country when a vast new roof was built. When Spain was selected to host the 1982 World Cup Estadio El Molinón hosted three group matches of West Germany which saw the eventual semi-finalists take on Algeria (1-2), Chile (4-1) and Austria (1-0). The last match (The Shame of Gijón) was particularly controversial, and even led to a rule change as the two neighbouring country’s manufactured a result at the expense of Algeria who had played their final game earlier in the day. During the 1997/1998 season El Molinon was converted to all-seating in anticipation of new stadium safety legislation from UEFA. 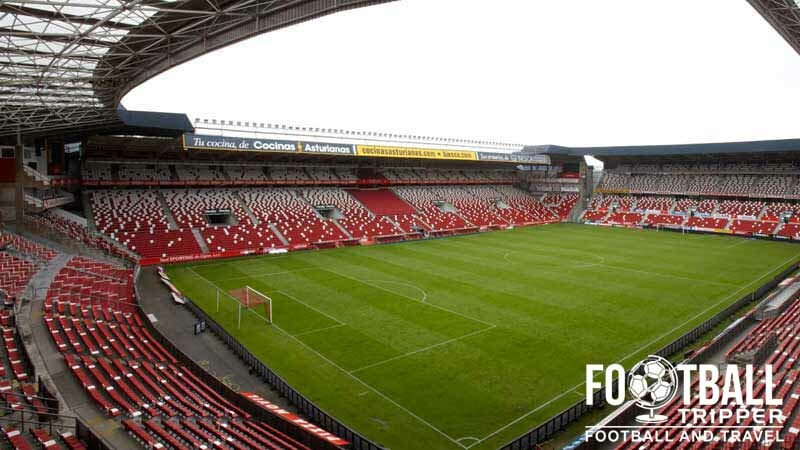 The capacity was reduced from 42,000 to 25,885 for more than a decade, however in 2009 Sporting Goujon responded by expanded the stadium to 30,000 over a two year period. The name El Molinón is derived from the Asturian word for “Big Mill”, which is in reference to the watermill on the Piles River. This previously occupied the land before being replaced by the football ground. Estadio El Molinón is comprised of four stands: North, East, South and West.